Having already written about the discovery of Roman artifacts discovered near Tucson Arizona, and written upon the artifacts is a very interesting story in old Latin telling of Roman expeditions arriving here in about 770 A.D. until about 1000 A.D. when they were likely overthrown by the division of the Toltec, I am left wondering again the reasons why the academic world is so adamant about suppressing the facts. I find it quite comical yet frustrating as I read the various reports which always follow the incredible finds of the past that might upset the academic world current fictitious and orthodox views of the history of this continent. I have made no secret of the many Spanish exploration documents of the past which I have in my collection which today is no big feat and they are available to anyone who has enough desire to seek them out. I have read these documents over and over and one thing that seemed to slip past me for years but I began to take notice of, was that in reading the words of those who wrote them, it became very clear by the statements made, these people were looking for evidence of previous occupation of past Castilian expeditions in the areas of “the” New Mexico, which included Colorado, Utah, Arizona and a majority of parts of California and Texas. They made notations along the way in these documents, whenever they encountered Castilian Grapes, Flax and Walnuts just to name a few it was noted, how could there be Castilian Walnuts if Castilians were not there prior? and this can be noted in Coronado’s first expedition. From Coronado’s first expedition into old New Mexico, Alvar Nunez, Marco de Niza and all the way to Antonio de Espejo, it is clear they were looking for evidences of past explorations prior to Columbus’s voyage. To give even more credibility to the many references the academic world seems to never give any heed to the many early maps of the New World, the very names mentioned upon them found also upon the Tucson artifacts, Calicuas (Calalus) and Septimania? Why are some written in Latin and not the old Spanish? Why would the reference of Septimania be on the maps of a culture who existed between 500 AD and 1000 AD? It was a cool name? Did the Cartographer just arbitrarily place the cities and the missing lake whever he wanted to? At the end of the times of old Septimania is the beginning recognition of the Castilian. 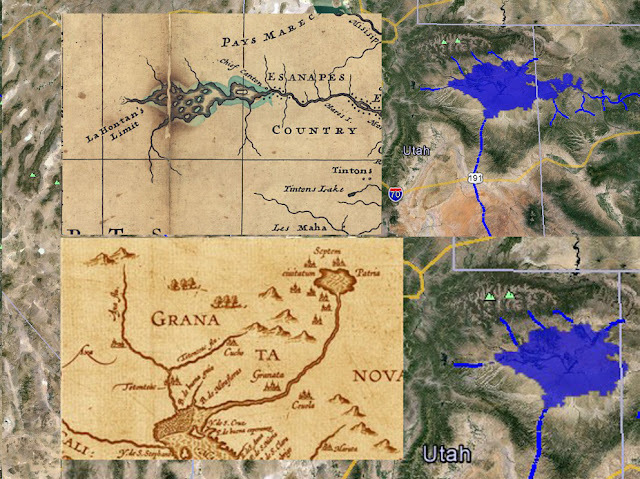 How is it that certain cartographers of Spain were able to make such accurate renditions of the illusive lake Copala if they had never seen it? Someone clearly had seen this long before, and even the French Moll map in the rendition of the Lake he never made it to? Lucky I guess. 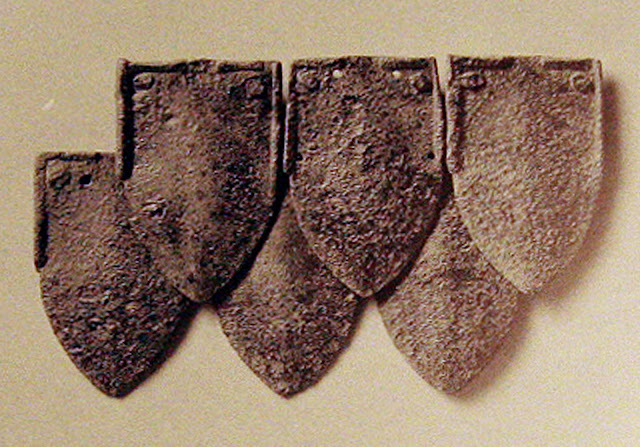 And so it was of no surprise to me, that portions of Scale Armor, which was for the most part discontinued in its usage especially by the Roman Empire by the 13th century, was found in the very regions in which the Tucson artifacts evidences speak of, Western Texas and Northern New Mexico. It is humorous to read the excuses the academics come up with regarding the reasons they were found here, One individual… excusist? 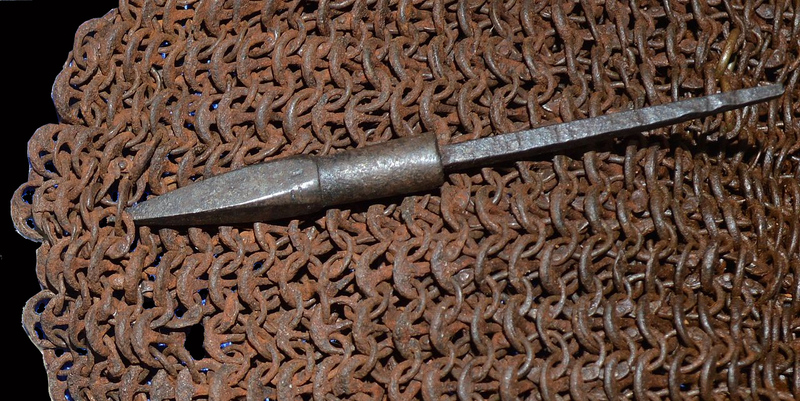 Shall we call them, stated that of the Roman armor scale found in Aztec New Mexico, that is was likely a family air loom brought to the Americas by Coronado or one of his men and lost. What? Of which of you is going to join a Spanish expedition into the savage unknown as a soldier and drag a family air loom along over 3000 miles of sea, and then another 2000 miles north into the savage regions of the Indigenous? 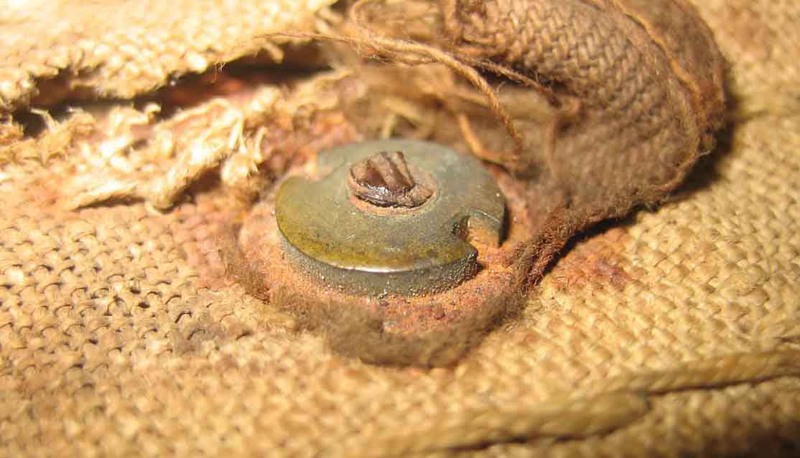 Another individual made the statement that it was likely left over armor from the past and used by Spanish soldiers, as it was known that those Spanish soldier had to provide their own armor? Yet of course no references was given to this ridiculous conclusion. I challenge any of the academics to provide written documents stating that the Spanish soldiers who enlisted to join these PAID expeditions with a high expectation of death, were not PROVIDED with all that they needed and required to bring their own armor? In two primary articles concerning these artifacts, one of them apparently saw the possibility, as reading through it, it would seem the objective was not only to blame their existence on the Spanish, but to completely rule out the possibility of being of Roman origins and this I believe is because they were well aware of the discovery of the controversial Tucson Lead artifacts found in 1927. Here is one of the Reports, which I find is written in seeming desperation to keep a possible cat in the bag, it was from 1999 HUGH C. ROGERS AND DONALD J. LAROCCA. 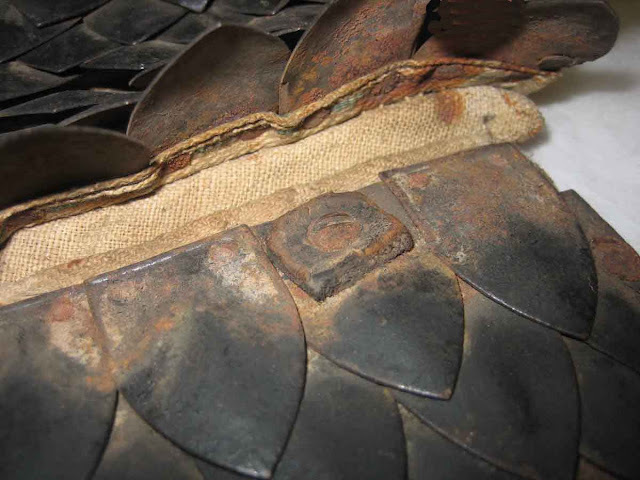 Originally the scales would have been riveted in an overlapping pattern, like shingles, to the outside of a leather or textile jacket (traces of fiber, apparently wool, remain under some of rivet heads). You can always tell by the use of words, what the intended purpose of an article is… Why not just call them forgeries? Wouldn’t it have been easier? One discovery was in North West Texas in 1870, and the other in Aztec New Mexico in 1920. 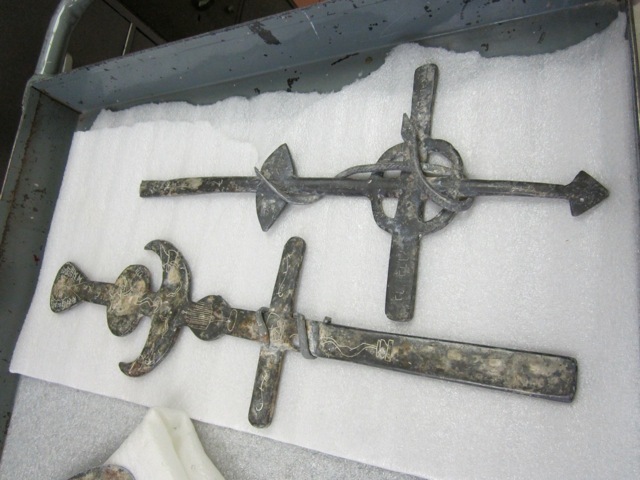 The Texas find was quite well preserved with cloth and leather still intact holding the Armor scale together but the New Mexico discovery was what you would expect to find, with solid but rusted scales with very little evidence of cloth remaining, if it were in fact of the early Spanish occupation. There is one hypothesis that is no more ridiculous than the excuses offered by the academic write up, in fact I find it to be much more plausible. The indigenous each have their legends of an ancient enemy long before the Spanish, an enemy who were clad in Iron and whose weapons were so terrible their braves would fall to the earth long before their arrows could reach the enemy, many legends of a pale skin enemy of the past exist among them. If in fact Romans came to this place of which is told by the Tucson artifacts, and the many other corroborating evidences ignored, it is HIGHLY likely that several of these “costa de malla” would have been strewn all over after a battle and if no one ever disturbed them leaving them where they fell, there is NO WAY any of them could have survived the elements of time from 1000 A.D. and today or even 100 years ago there would be nothing left of them. HOWEVER…. Do you think after a battle the indigenous in wonder might have examined the very thing which they noticed protected their enemy? Do you think that several of these were taken and incorporated into their own usage in war? To say no, would be like the United States military finding advanced weaponry of their enemy, and leaving it lie… Do we have evidence of this? Yes we do… and if the Indigenous gathered up these advantages in war, they would most likely have stored them in places where they could have easily survived these elements of time, and used them for themselves. This is what I think is the source of the Aztec New Mexico find, and likely the Texas find is the result of finding the remains of an Indigenous warrior who fell in battle either against the Spanish or even a rivaling tribe. Recently I saw on History channel a report of the Aztec New Mexico discovery, each of the archaeologist when making reference to the scales kept repeating back and forth “Scale Mail” mail meaning scales or small plates, I did not understand this at first, but in all the expedition documents I have ever read and the many histories of the Spanish conquest, not common to the public the WORDS USED is “cotas de malla” this is also what you find in the archaeologist reports of the same, are these people really that lazy? Cotas de malla is the words used in the old documents, the translating of this phrase is Coats of MESH, it DOES NOT translate to Coats of Scale or their new indoctrinated nick name of Scale Mail. Why is this so important? It would seem the effort is to convince you that all the references to Cotas de Malla in the old documents is referring to these Scale Armors that have been found and convincing you that it was common among the Spanish in the 1500’s and 1600’s of which it was NOT. MESH Armor however was, because Scale armor had not been used nor even manufactured since the 1300’s, WIKI at least got it partially right. Have you heard of Iron Shirt or Chief Iron Jacket? 1790-1858. Iron Jacket was a War Chief of the Comanche and if history has portrayed him correctly, he was known for his arrogance and his ability to blow bullets aside with his breath, this because of his habit of wearing his “Coat of Mail” again misusing the term, had it been a coat of Mail, Mail being the mistranslation of Malla which should be MESH, then Iron Jacket would have been wearing MESH Armor, which he was not, of the many descriptions given, it is clear he was wearing SCALE armor NOT MESH. Where did he get this scale armor? This is an excellent example of the hypothesis of the Indigenous using ancient Armor of the past and now it seems an effort is made to convince you that the ONLY possible scenario is they exist as a result of the Spanish arrival to this continent. Roman Colonies were HERE long before Columbus! Academics refer to them as Pueblo people… And there were many others who came prior to them. Why is this possibility seemingly such a threat to them or the system of control whom they adhere, Smithsonian.